Reserved for Francoise. 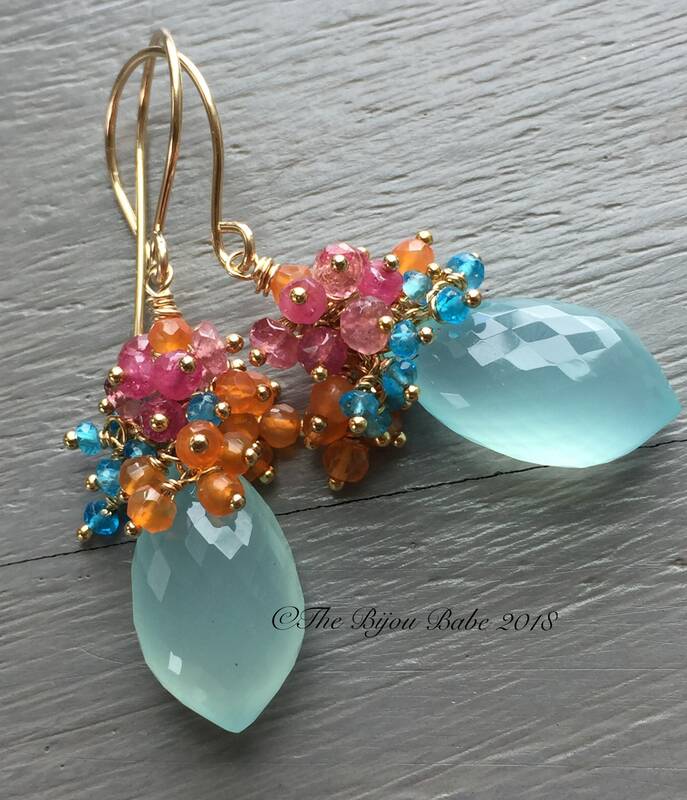 Large aqua chalcedony briolettes, with exquisite faceting are topped with juicy, tropical colors. 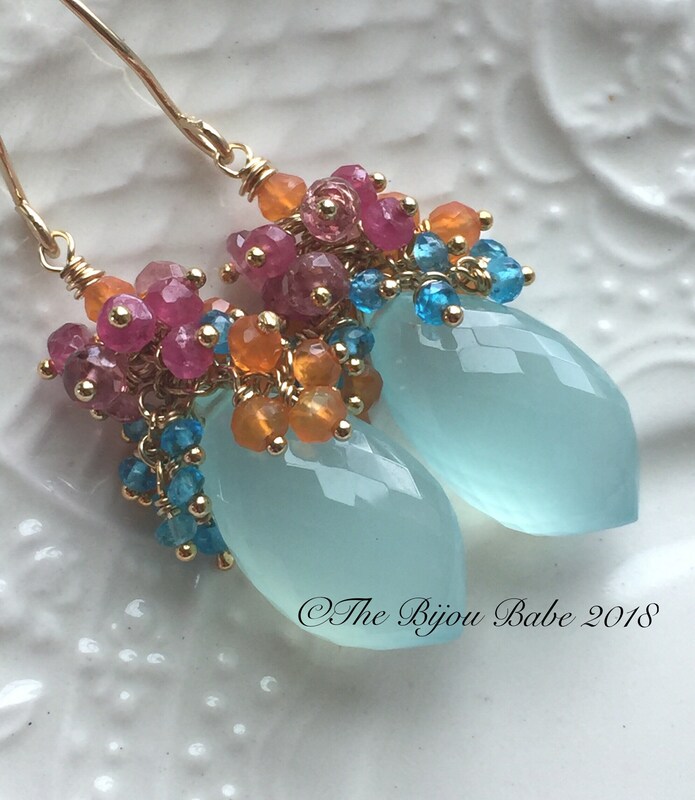 Faceted rondelles of carnelian, teal apatite, pink sapphire and pink tourmaline are wire wrapped in 14k gold filled headpins to create delicate tendrils of color. These earrings could very well be the perfect summer accessory! Your “Beach Resort” earrings will ship USPS Priority Mail and will be packaged in a lovely gift box tied with ribbon.